Division Avenue High School in Levittown has appointed two new assistant principals. Terence Rusch of Bayside, Queens, was a special education chairperson at the school. Sam McElroy of Babylon was assistant principal of instructional support services at Flushing High School in Queens. Peter Dalton of Massapequa Park has been appointed principal of Nassau BOCES Barry Tech in Westbury. He was assistant principal of Sewanhaka High School in Floral Park. Janine Proulx of Babylon, an elementary school teacher, has been appointed part-time assistant principal for Deauville Gardens East and Great Neck Road elementary schools in Copiague. 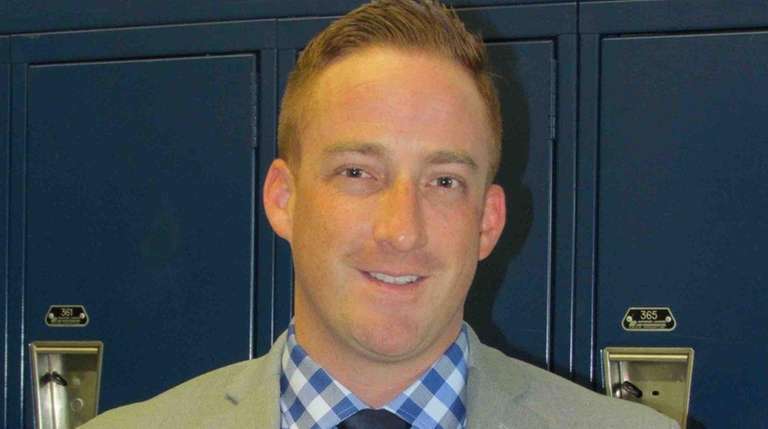 Patrick Harris of East Islip has been appointed assistant principal of St. John the Baptist Diocesan High School in West Islip. He was assistant principal at Holy Cross High School in Flushing, Queens. Jessica Schmettan of Port Jefferson has been appointed executive director of curriculum/instruction for the Port Jefferson School District. She was assistant superintendent for elementary curriculum/instruction in the Sachem Central School District. Lynne Fuentes of Bethpage, partner at Fuentes & Angel CPAs in Bethpage and Sea Cliff, has been appointed president of the Nassau Chapter of the New York State Society of CPAs. Albert J. Frazia of Hauppauge, president of Fast Track Professional Services Corp. in Hauppauge, has been appointed vice president of finance and treasurer of the New York City Society of Human Resource Management. Dean E. Bennett of Baldwin, a diversity business consultant and president/CEO of J.K. Bennett & Associates in North Baldwin, has been elected to the board of regents for Winthrop-University Hospital in Mineola. Joseph Campolo of Stony Brook, managing partner at Campolo, Middleton & McCormick in Ronkonkoma, has been appointed to the board of directors of East End Arts in Riverhead. Dr. David Lelonek of East Meadow, an optometrist, has taken over the J.C. Penney Optometry practice at Roosevelt Field mall in Garden City. He was at Target Optical in Levittown as an independent doctor and owner. Barbara Ragione of North Massapequa, coordinator of nursing information/EMR project manager at Good Samaritan Hospital Medical Center in West Islip, has been promoted to director of nursing quality and clinical informatics and performance improvement.